Schedule a free service availability check today! No install fee! Fast, reliable internet is here at last! Say goodbye to data caps and end of the month conservation with unlimited data usage from Skyber! Want to know more about our product? We’ve put together a list of commonly asked questions just for you! 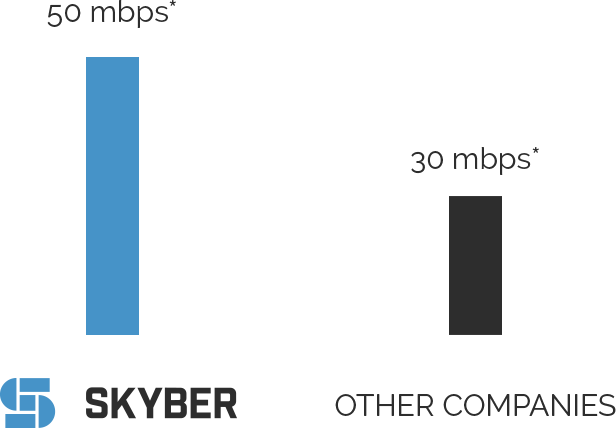 Skyber is looking to come give a community just like yours high speed internet! Fill out our service expansion request form to let us know where we need to go next! What are you waiting for? Schedule a service availability check today!